James Yorkston and Pictish Trail have been friends and kindred spirit in the music business for close to 20 years, having first met as part of Fife’s Fence Collective scene. They’ve since gone on to perform on one another’s records, and tour together frequently. Ahead of a reunion back in the Kingdom as part of Yorkston’s Tae Sup wi’ a Fifer events series at the Adam Smith Theatre in Kirkcaldy on Saturday, July 14th – on a bill headlined by American electronic music pioneer Carl Stone and also featuring Thomas McCarthy – the pair reminisce about the early days and compare notes about where their respective careers have taken them since. Clash: James, what do you remember of your very first encounter with Johnny way back in the mists of time, and what do you recall making of him? JY: I think the first time I met Johnny was in the back of the old Fence shop on South Street, St. Andrews. Not sure why I was there, maybe just popping in to say hello, but I think Johnny made me a cup of tea. I remember someone asking if I knew Bonnie Prince Billy’s music, which I didn’t, then telling me why they liked him... That may have been Kenny (Anderson, King Creosote) though, not Johnny. And I also remember there was no soya milk, so I had to have black tea with sugar. I guess I was about 30 years old then, so Johnny would have been 20, Kenny 33 or so... Johnny wore baseball caps and almost skater-style clothing – brand names and such. I found that whole Fence thing most amusing, putting our CDs alongside Nik Kershaw or whoever and hoping some American golfer would buy them – either by mistake or by curiosity. PT: I was a very regular customer in that Fence shop, so I must have been about 18, then. I’m SO young. I remember seeing your J Wright Presents CDs in the shop, picking up that split 7” single you did with Lone Pigeon, and becoming hooked. I vaguely remember seeing you at a few of the Fence Sunday Social events that were at Aikmans, but those were all- dayers, and by the time you were on I’d be blind drunk/deaf. I think it wasn’t until a few years later, when Kenny and I played at your Cecil Sharp House show in London, maybe a Domino Records 10th anniversary thing, that we actually struck up a proper conversation. We spent the afternoon rehearsing harmonies for 'Midnight Special', and drinking loads, before going on stage. Always total professionals! JY: What was it that attracted you to these old bearded men playing miserable music, Johnny? PT: I suppose you could ask why all those old bearded men started hanging about with a young, plump, cherubic teenage boy, but that’s a different interview altogether. The Fence thing was always just a good laugh. Sure, there was some miserable, gut-wrenching songs – but the music that really depressed me was the unending slew of covers acts, acoustic guitars and novelty haircuts, singing 'Hit Me Baby One More Time' in all the other pubs. Fence was the antidote to all that. I loved the Fence thing of covering one another’s songs, it was like being part of some secret, wee gang. PT: When I was first getting involved with the Fence stuff, you weren’t in Fife all that much – you’d got signed, and were playing with a band behind you, traveling the world. There was so much excitement about James Yorkston & The Athletes, and it was a really LOUD band, at times. You even had some hair. I’m touring with a band these days, and it’s super-stressful trying to co-ordinate everything. Do you look back on your band-times fondly, or were they stress-fests? Is that why you lost your hair? JY: The band times were bizarre. There was still some money in the record business, so we got tour support, which meant I could take three or four band members with me on the road. I don’t really remember it too fondly, to be honest. I found it hugely stressful. We never really had an experienced tour manager. I remember turning up in Rennes once at 10pm and not knowing where our hotel was – and the TM thought to bring a map... This was all pre-mobile phones. We ended up finding the hotel by reading the maps on the side of bus shelters. And then, there was the band... The Athletes weren’t easy to spend time with, and I’ll include myself in that description. They were always arguing about stupid things. ‘What’s the capital of Belgium?’ once bought two of them to blows – ridiculous. I also had that thing of – I’d spent my twenties doing music but never getting anywhere and then all of a sudden touring around with all these people, expectations from the record company, the agents, the PR... and not having the experience to make informed decisions. And we were all drinking far too much – a bottle of whisky on the rider is a fun thing, but night after night after night, it gets too much. But, that was the second time Fence came in and saved my sanity. After all that touring, returning to the Neuk and seeing you guys wandering around in your scaffies, beer bottles in hand – it bought me back to earth a bit. JY: So, what had bought you to St Andrews? Did you always want to do music? PT: I’d spent my early-teenage years in America, our family had moved over there, but I knew I wanted to return to Scotland after high school graduation. I was listening to a lot of Scottish music – The Delgados, The Beta Band, Belle and Sebastian, Boards of Canada – and so had a real pining to get back. And that was The Beta Band, so I applied to St Andrews, got accepted, and headed straight there on my own. Within a week, I’d met Kenny and Jason, who were Fence at that point, and were running that local CD shop. I loved music, was in a daft indie band, would DJ almost every week at the Student’s Union, and put on live events around the town. St Andrews was a great place for that, as you had a captive audience. I’d no real desire to make any music of my own, initially – I was happy enough acting the arse doing stand-up comedy nights and theatre shows with my pals. But, eventually, I’d become so captivated by the Fence thing that I had to give songwriting a go. Clash: Tell us something you’ve learned from one another during your long and illustrious careers? PT: James has always been someone I’ve looked up to, and I’m a huge, huge fan of his music. And, God, there are so many things I’ve learned from him. I think the thing that really caught me, right from the early shows onwards, was his ability to have an audience completely in stitches, people properly crying with laughter, and then be able to go straight into a heavy-hitting, lyrically devastating song. With a room in total stunned silence, until one intake of breath after the final note, after which there’d be rapturous applause, yelling and fists banging on tables, juddering pint glasses. For someone who is quite an unassuming, soft-spoken dude, his way with an audience is an undeniable gift. Had you ever thought about comedy, or acting, James? JY: The banter on stage is just me horsing around, really. A lot of it comes from being stuck on a train or a plane or a transit van all day and just the blessed relief of being stationary and in front of a friendly crowd puts me in a good mood... Sometime I do muck about a bit too much, but I try to never let it get into the actual songs. Some of the most fun I’ve had onstage is touring with Johnny. We did a few trio tours together, one with Seamus Fogarty and one with Withered Hand. Johnny enjoys the antics and he never said “no”, so we ended up onstage wearing Chinese dragon heads and doing scripts from my books and such... Just pushing each other a little further, whilst always, hopefully, keeping the music straight. Thing about Johnny is, as you can see from above, his musical education and interests is far away from mine. I never went to uni, never really heard those bands he mentioned. My musical education was through the eclecticism of John Peel, mostly, with Janice Long and Andrew Kershaw a bit. I had a Belle and Sebastian album, mind, and it was pretty good, my ears weren’t closed off, I was just more interested in less NME type things, be it traditional music, dub, krautrock, experimental stuff. And Johnny’s knowledge and view point of the music biz is very different from mine, too. He’s worked at the coal face, with Fence, then Lost Map. Because I signed to Domino very early (2001), I’ve always had people working with me on projects and they do all the record company stuff, leaving me to concentrate on being the artist, though that seems to mostly be booking trains and hotels a lot of the time. PT: I don’t know if I’d say our music tastes are that vastly different – my parents were folkies, so I grew up listening to a lot of that stuff, and I had plenty Faust albums, Ivor Cutler tapes, listened to John Peel a lot through my uni years. But, I guess what constituted as alternative music, or underground/independent music, changed from the 80s to the 90s / early-00s. JY: I guess it was more you were still interested in fuzzy guitar stuff, bands like Pavement and Blur, whereas I’d totally lost interest in that sort of indie clang by that point... I mean, I was 30 years old and you were 18 or 19? No surprise. PT: There was much less purism by the time I was 18, you didn’t have to align yourself with one camp, and there was a lot more crossover with what was considered the mainstream. But, then, so much of what James listened to branched off from that wave of punk in the late- 70s, where listening to that stuff was a lot more politically charged, I guess. I’m quite envious of that, in some ways. That sense of anarchy was lost for my generation, and has dissipated further still, to the point where The Ramones and Can have become logos on Topshop T- shirts, ha! The plus side, of course, is that nowadays people’s access to all types of music has grown. PT: The Domino thing was really fascinating to me. When James signed to them, they were known as a label that had the coolest of American alternative acts – Will Oldham, Pavement, Royal Trux. It was so exciting for Fence to have a connection with that – I mean that, really, was my musical education, seeing how they developed as a label. Because almost immediately after they signed you, they got Franz Ferdinand, and later Arctic Monkeys, and Hot Chip, and became this huge company, with the biggest bands in the UK. Pretty phenomenal, when you think about it. Both Domino’s approach to releasing music, and Moshi Moshi’s, have been really influential on how I’ve worked with artists, both at Fence and with Lost Map. JY: I didn’t know of Domino at all, really. I was busy exploring music from Mali and Madagascar, plus things like Squarepusher, so when I met Laurence – we’d bumped into each other at a Future Pilot AKA gig and bonded over Shirley Collins and Dag Nasty – and he sent me a box of CDs, well it was all new to me, and some of it I loved – Papa M and Four Tet being the two that I remember today. Franz were obviously a big deal for Domino, I saw the company grow pretty quickly after that. One good thing about Franz was they had the Domino logo printed on their bass drum skin. I loved that, a band being proud of their label. And of course, I loved Domino and their output by then. I mean, they released the UNPOC album! How could one not love people who did that? And that family feel, I see with Lost Map. Bands like Kid Canaveral, Firestations, Randolph’s Leap, Bas Jan, Seamus Fogarty – they clearly are following your pop ethos. It’s like cassette compilation tapes, in a way... I guess your events, especially Howlin’ Fling really help bond the label? PT: Aye, totally. It’s something I’ve carried from the Fence days, really. When I started working at Fence, full time, the first big event I organised there was Home Game, in 2004. Ten years of those events really formulated my life in music – they were important not just for the connections between the different artists on the roster, but also for the fan base. So many important friendships have been forged at these things. With Howlin’ Fling it feels magnified even further, as there’s a real sense of the community here being an integral part of the event. PT: The Fire thing kinda came out of the blue. James Nicholls, who runs the label, got in touch last year and asked if I’d be interested in releasing with them. We chatted for ages on the phone, met up in London, and I played at a Fire Records showcase, hosted by The Bevis Frond. Was cool meeting them, and other acts on the label – Wreckless Eric, The Jazz Butcher, Rats On Rafts. The whole thing had a really nice feel to it, and that swung it for me. But I don’t feel I’ve left Lost Map, or anything like that. The Lost Map name will go on everything I do. It’s just nice having someone else coming up with ideas on how the music should be released – It can be lonely releasing music on your own! JY: Sure. I certainly value the comradery I have now with Yorkston Thorne Khan. Clash: Lastly, please each share with us all, if you will, your favourite, messiest, most ridiculous story from your various tours together over the years. PT: My favourite gigging experience of ours is when we both played with UNPOC in Sweden. That very first Swedish show, Popaganda in Stockholm, back in 2004. It still blows my mind, thinking about it. It’s so funny that it was so long ago, I’d only been a touring musician for about a year at this point. 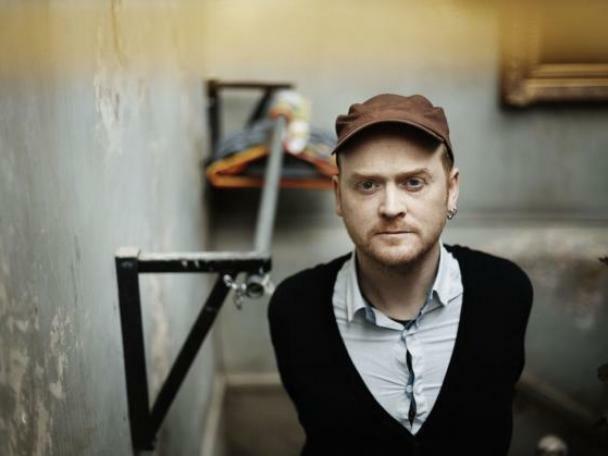 Tom Bauchop is UNPOC, an Edinburgh-based musician, and he’d made this home-recorded album that James had convinced Domino to release. It’s filled with some pop gems – like ABBA being performed by Galaxie 500, or something. Really lo-fi, but incredibly catchy. Tom assembled a make-shift band, consisting of himself and James on acoustic guitars, Kenny Creosote on melodica, myself on tambourine and shaky egg, and all four of us singing. We’d done a handful of UNPOC shows in Scotland – mostly in the back- rooms of pubs, the four of us sat on chairs in a row, playing in front of maybe 20, 30 people. Then UNPOC got this festival booking in Sweden. We’d heard talk that Tom’s album had gone down well over there – but nothing prepared us for the 10,000 Swedish fans, all screaming along to every song. They knew the words better than we did – us four dafties still had lyric sheets with us on stage. And, despite being a massive stage, we still sat on chairs, in a row. Totally surreal. I don’t think any of us on that stage have experienced anything like that since, ha! We looked totally duff – Kenny and Johnny in their worn old sweatshirts and hole-ridden jeans, me in crumpled cords and an un-ironed Ben Sherman, Doogie Paul hovering behind us in his 1987 Celtic top, handing us our cider and towels... And this was Stockholm, of course, where people dress very well indeed. There was a weird, vacuum type silence before we played, I don’t remember a round of applause as we walked on, certainly. But from the moment Tom began singing the first line of ‘Amsterdam’, it was an incredible, adrenaline fueled set. We only had 35 minutes of songs and we finished in 25. A real highlight of my Fence career, that. And although I see Tom regularly now, I miss playing with UNPOC. The fun we had was so daft and infectious. 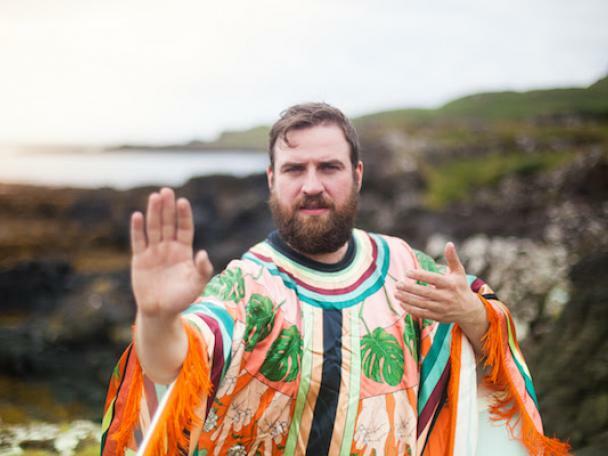 Pictish Trail and James Yorkston will play Tae Sup wi’ a Fifer at Kirkcaldy's Adam Smith Theatre on July 14th - TICKETS.